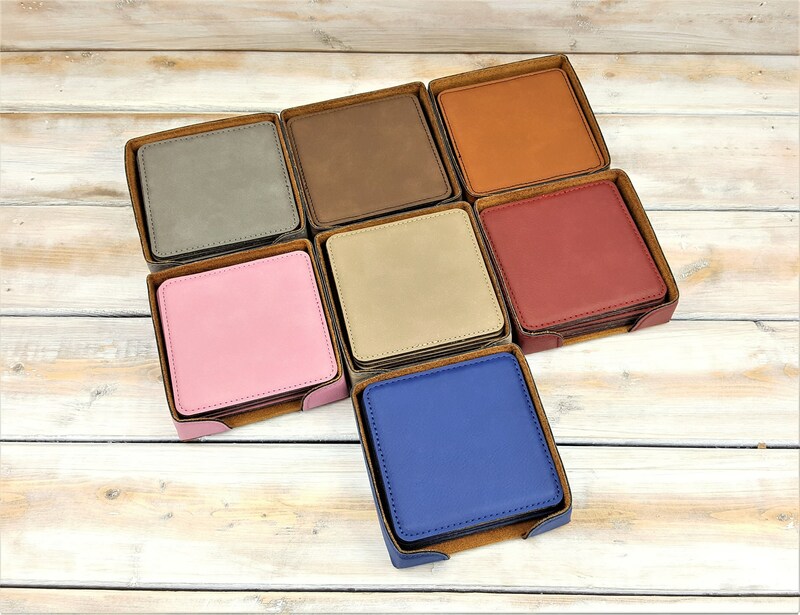 Set Of 6 Personalized leatherette Coasters. 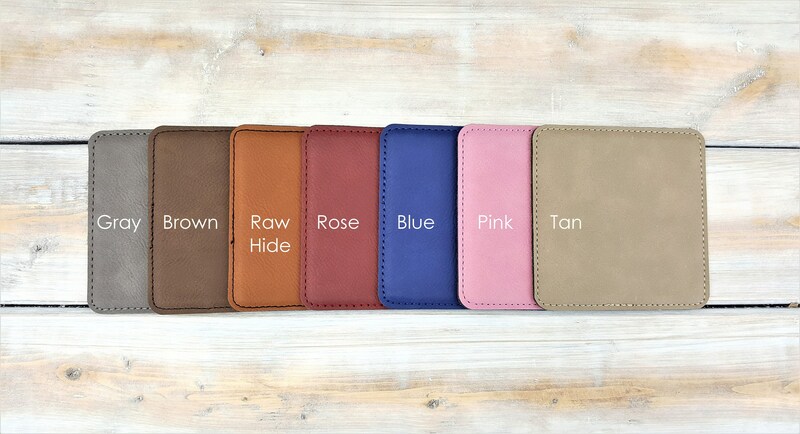 One of a kind gift, perfect and suitable for any occasion. 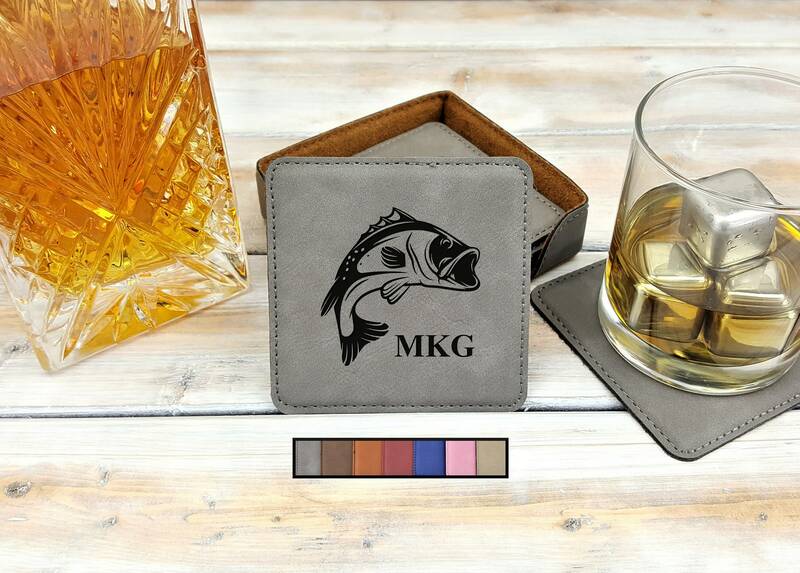 Perfect for Christmas, Father's day, Mother's day, Anniversaries, Groomsmen, Bridesmaid, Birthday's, Housewarming gifts, Bar accessory and more. 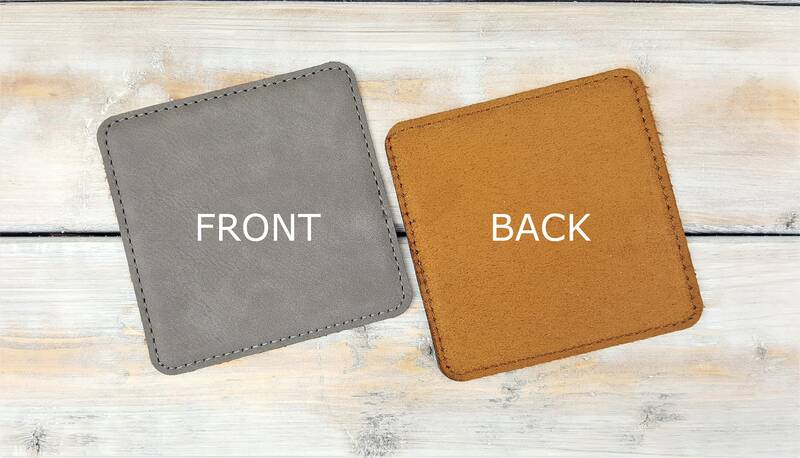 The back of the coaster is faux suede. 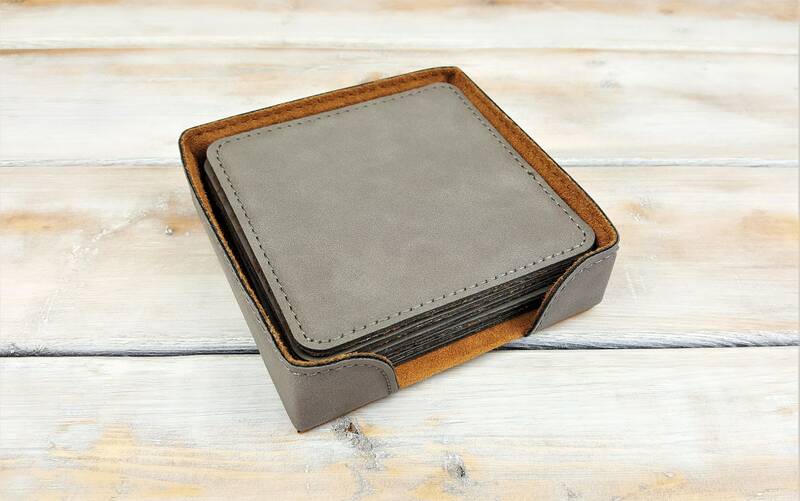 Matching coaster holder tray included. - Please leave us a note at checkout with the desired information to be engraved. Need something different? contact us for more info.